Inddymedia kindly reprinted these remarks by Maori Party MP and "Uruwera 17" supporter, Hone Harawira in Parliament yesterday. HONE HARAWIRA (Māori Party—Te Tai Tokerau): ....when people start talking about the historical nature of terrorism and ask whether the Māori Party actually understands the historical nature of terrorism, I say that absolutely we do. An earlier speaker talked about introduced diseases. I think of influenza, which was introduced by the whalers and sailors, wheelers and dealers, and thieves—who came from England. That disease wiped out thousands of Māori people. When I hear members talk about the murder of innocent citizens, I think of the so-called New Zealand colonial forces who murdered thousands of innocent Māori. When I think of the terror of the overtaking of a people’s land, I think of the land theft that has gone on since the time the New Zealand Government was first established in this country, and that continues to this very day. I absolutely understand the historical nature of terrorism. I understand it more so than, I assume, many other members of the House. But do I understand terrorism in the way that other members have expressed it, in terms of this bill? The *answer is no. I do not mind saying that I do not understand terrorism, as it is understood by those fuelled by the jingoistic, acid-drenched, hate-filled, anti-Islamic, death to anyone from the Middle East, vitriolic, poisonous claptrap that the United States is trying to foist upon the rest of the world. 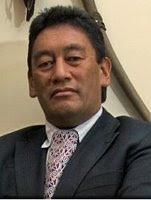 HONE HARAWIRA: The member says “al-Qaeda”. I have heard the mention of al-Qaeda in this discussion on terrorism. Is that the same al-Qaeda, and Taliban, that were funded by the United States to get the Russians out of Afghanistan? The CHAIRPERSON (Ann Hartley): The member needs to come back to the bill. HONE HARAWIRA:....Exactly where does this terrorism come from? It seems to me that terrorism, in terms of this bill, is terrorism as it applies to the American definition, not as it applies to the terrorism that is being meted out against people who oppose that kind of American imperialism. I come back to the meaning of terrorism in this country. My understanding of terrorism comes from a source that is far different from the American expression of terrorism. The CHAIRPERSON (Ann Hartley): The member will come back to the bill, thank you. HONE HARAWIRA: I think about terrorism in this country and whether I will sit quietly by, as suggested by Wayne Mapp, Mr John Hayes, and others, and wait for the police to come up with a decision. I think not. I will not sit quietly by, while State forces terrorise my people. "Chur-Chilling-Ian" to you guys I know but that proves the man's point really. OK for us to do it to others but Jee....zuz ! They're bloody well doin' it back - gasp - horror - evil bastards ???!!! Hone Harawira a choice guy.....hard ! I agree with him a million per cent. And Thank God for him ! Russia, China, Consolidate "Strategic Alliance"
China Builds Socialism "With a Capitalist Hand"